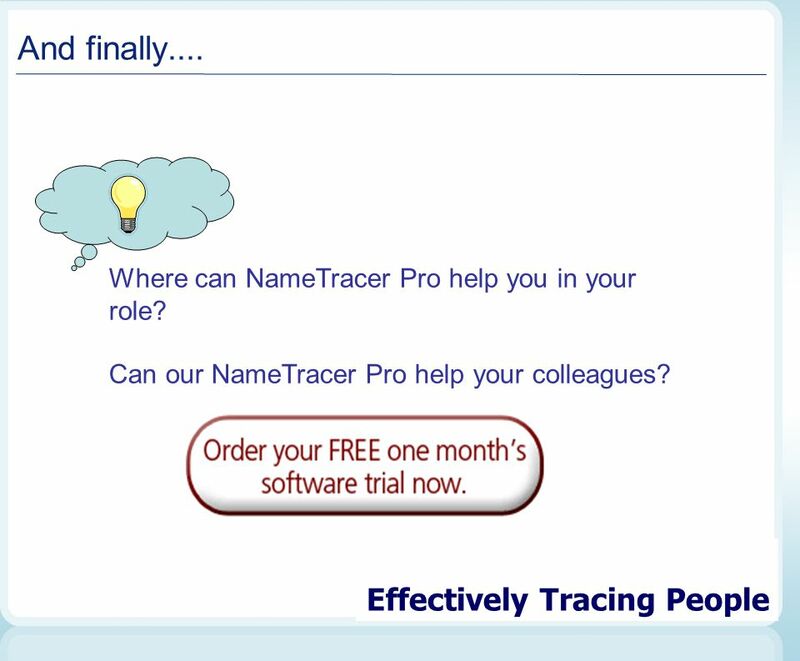 NameTracer Pro Effectively Tracing People. Goals Understand how your organisation can.... 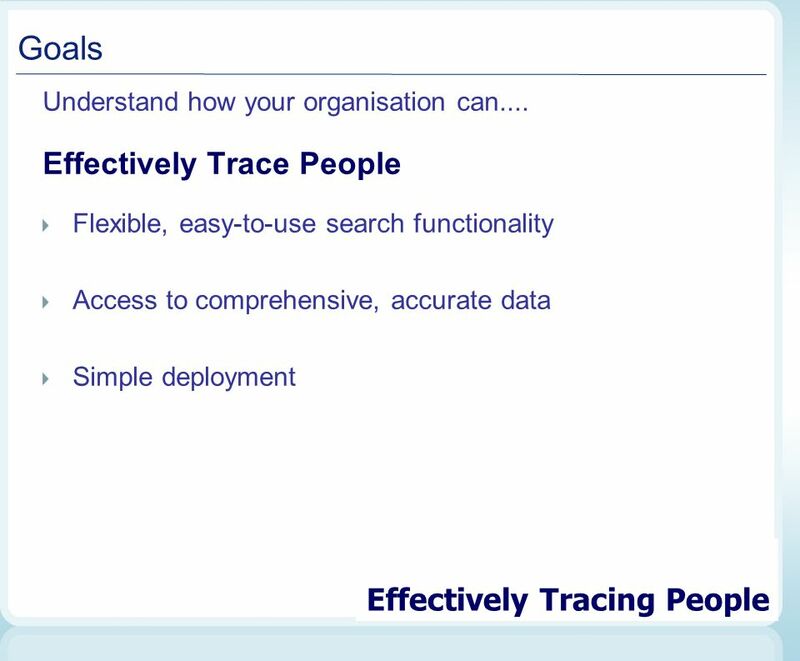 Effectively Trace People Flexible, easy-to-use search functionality. 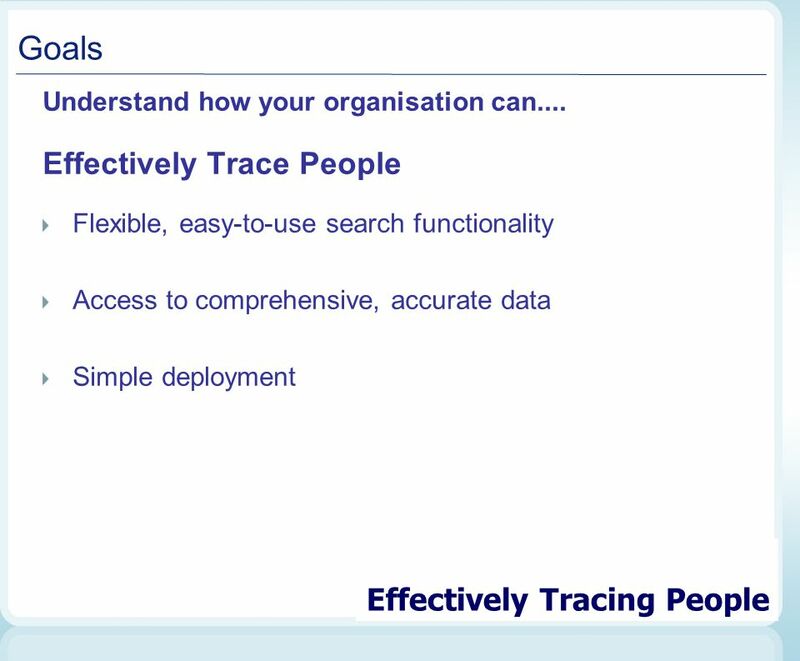 2 Goals Understand how your organisation can.... 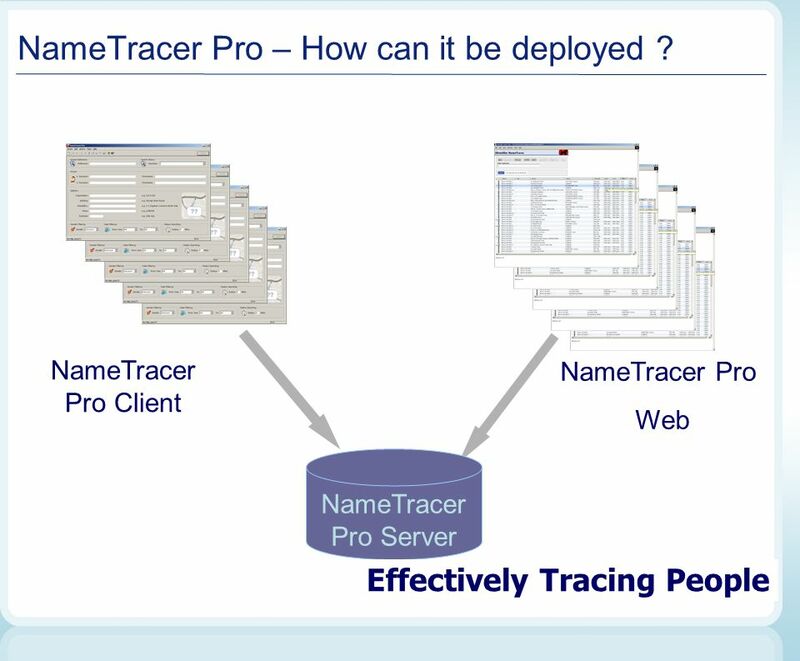 Effectively Trace People Flexible, easy-to-use search functionality Access to comprehensive, accurate data Simple deployment Think... Where can NameTracer Pro help you in your role ? 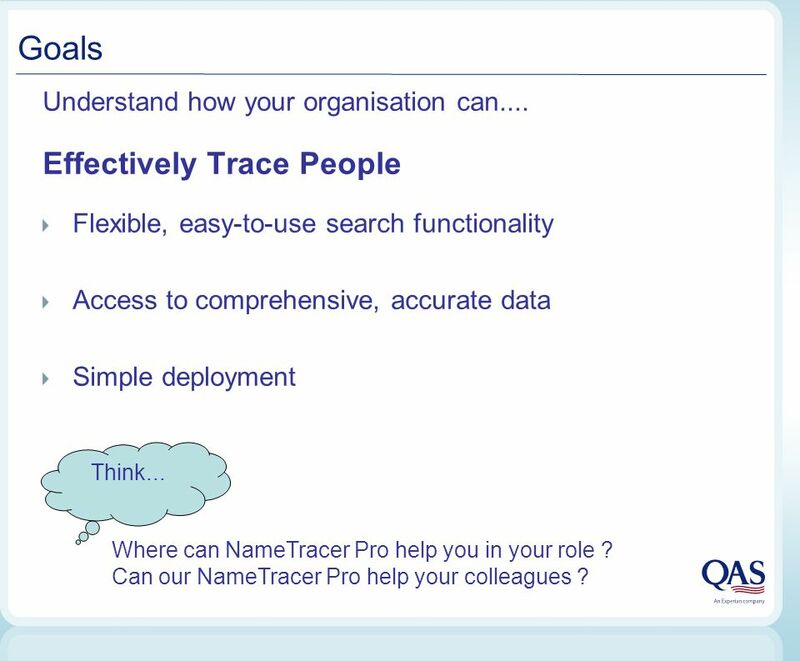 Can our NameTracer Pro help your colleagues ? 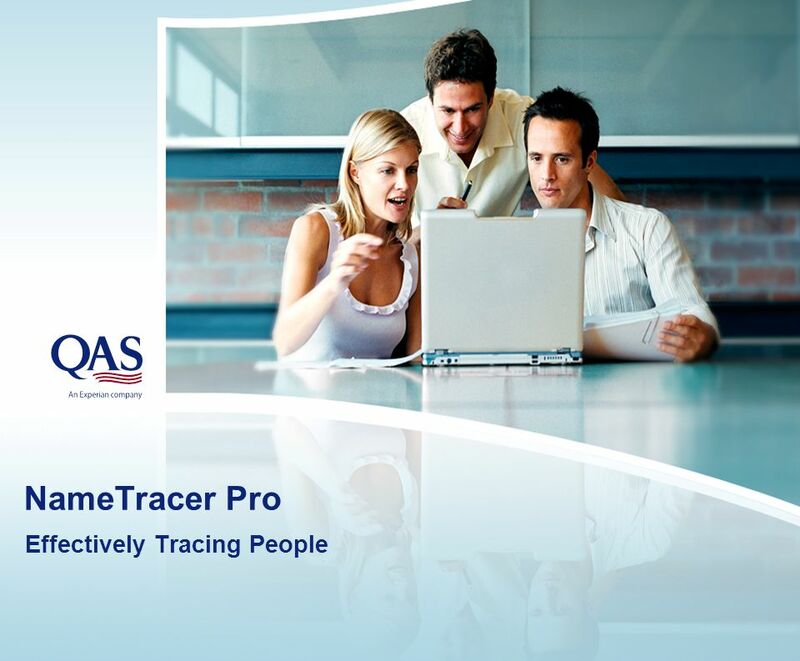 Download ppt "NameTracer Pro Effectively Tracing People. Goals Understand how your organisation can.... 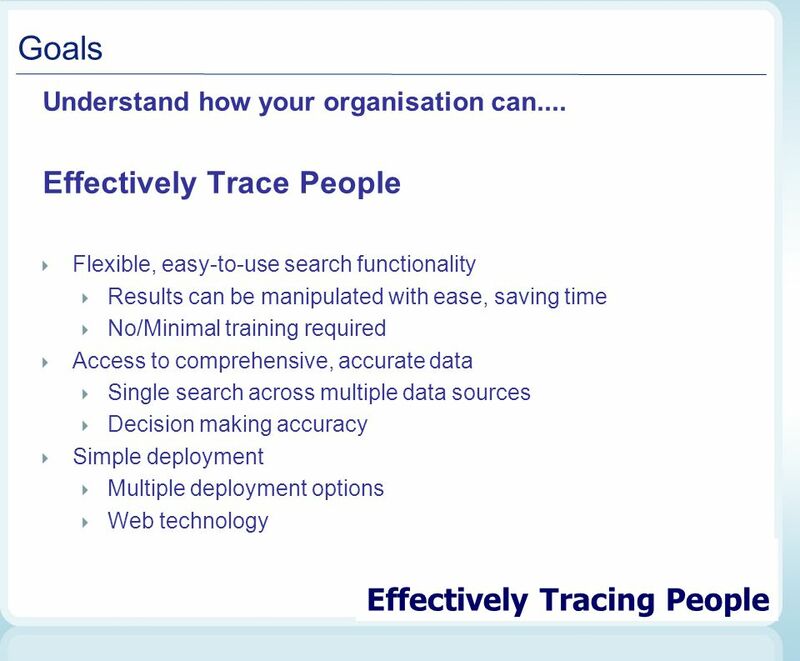 Effectively Trace People Flexible, easy-to-use search functionality." Quality Management System (QMS) By Sky Software Co. LLC. 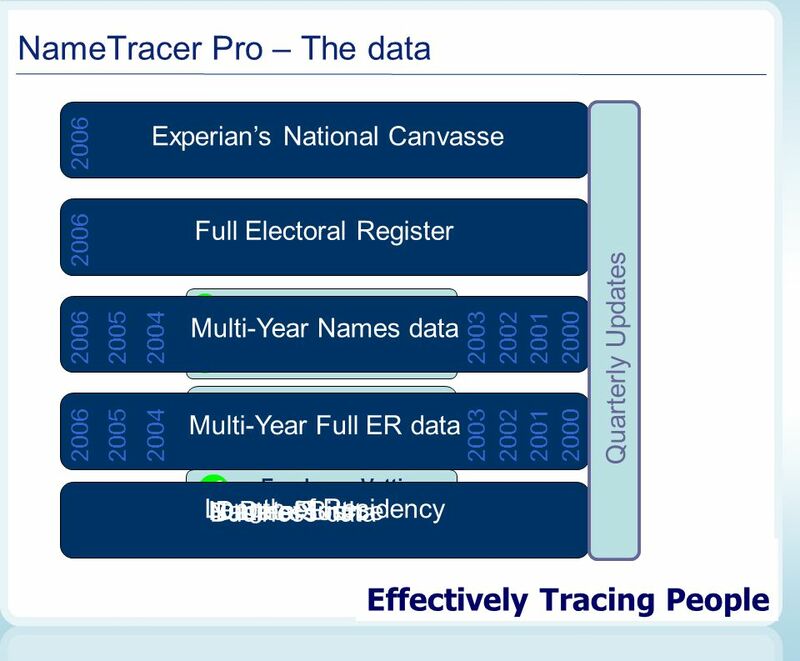 Presented by: Frank McKenna Date: 15 th March 2006 The making of QuickAddress with Pointer. An introduction to COS Pivot Research Funding Database. 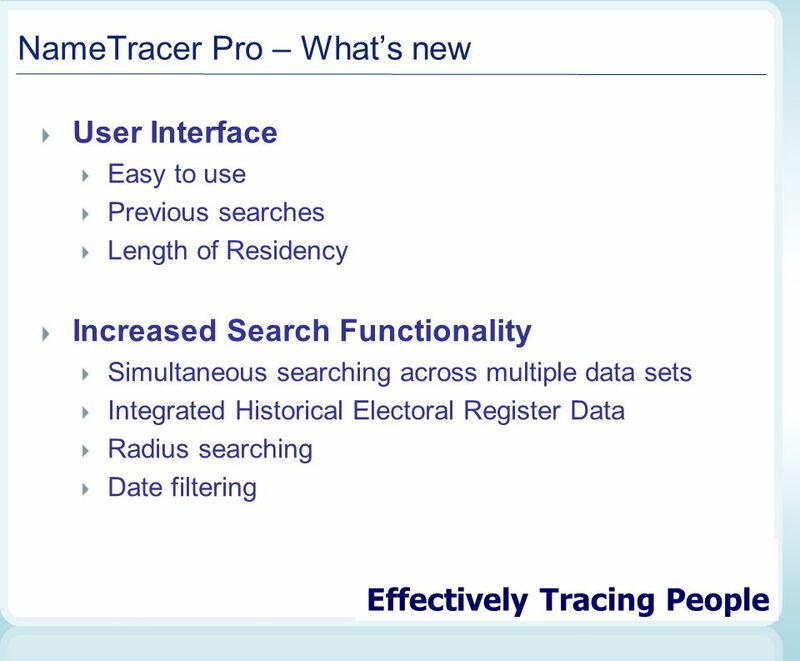 OS Places New Service Products from May 2014 Address Capture & Verification Address Matching GeoSearch Ordnance Survey 2014. Empowering management research Emerald Group Publishing Ltd Company, products and services overview Brian Berry Regional Business. Client Solution Collaborative application for employees Transparent communication w/ anonymous questions Technology SharePoint 2010, using ratings and. Swets Information Services SwetsWise Title Bank 13 th Panhellenic Libraries Conference th October Corfu. May 11, 2009. Today’s Agenda  What is CoStar?  Who is CoStar?  How CoStar can help YOU! 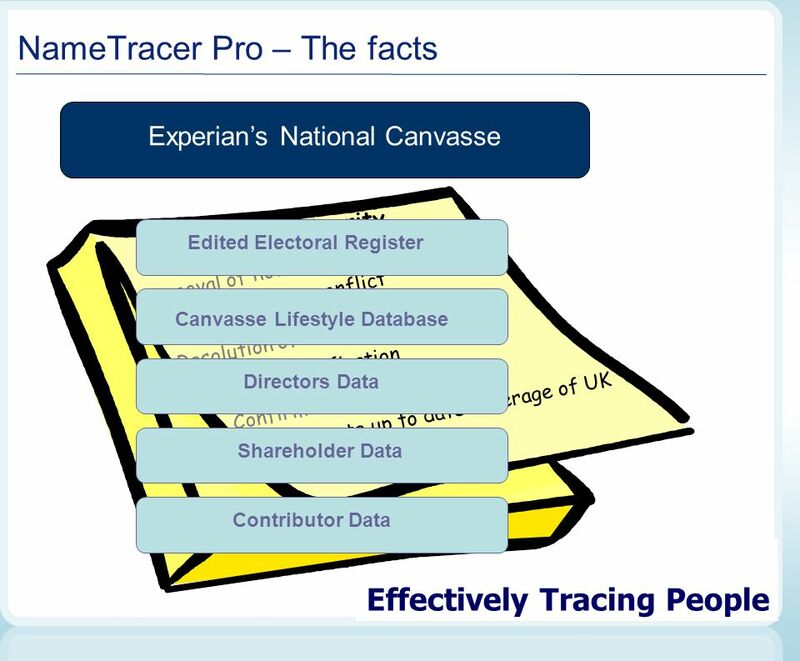  Property Professional  Recap  Q & A.